San Antonio, Texas – Halloween is just around the corner and then the holiday season kicks in. The National Retail Federation says the average family spends $80 on Halloween and nearly $600 on Christmas. One local mom is helping families save on both Halloween and holidays with her annual Just Between Friends Fall-Winter Kids Consignment Event. It is set for October 8 – 10 at Kendall County Fairgrounds. Thursday, October 8: 9:00 a.m. to 6:00 p.m.
JBF offers a safe place to shop and sell without the risk that can occur with online sales such as Craig’s List and Facebook Groups. Often people are buying and selling from strangers. 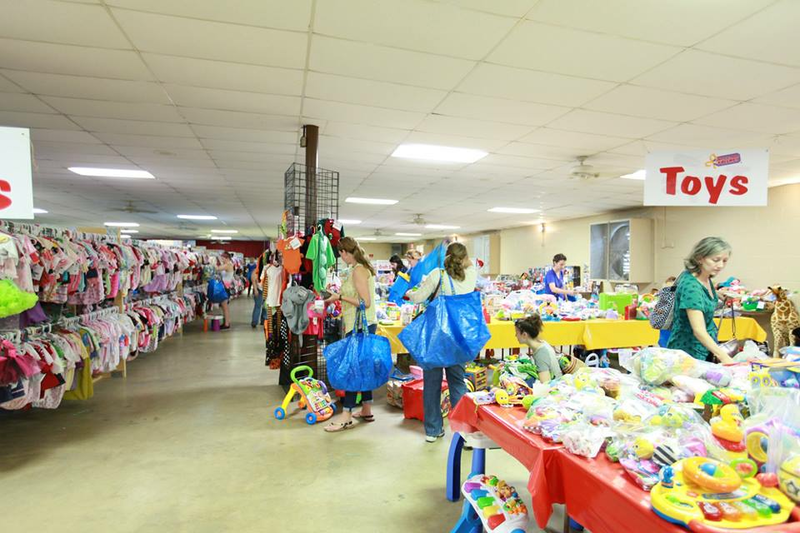 At the JBF events, local families can sell their items at one time in one place. Other families can shop and typically save 50 – 90% on new and gently used clothing, kids gear, toys, baby equipment, furniture, maternity and much more. All items are inspected and the events are well-organized. The money stays in the local community and most goes back into the pockets of families. Jennifer Hodo runs the event twice a year. She is thrilled to help the community save and earn money. JBF also gives back, donating all cash from the entrance fee to Hill Country Daily Bread Ministries. In addition, JBF donates unsold items to the group AND they also have a donation drive at the event for diapers, formula, baby food and layette items. Jennifer is available for interviews before and during the event. We can also provide families who participate as consignors and shoppers for interviews as well as our charity partner. About Just Between Friends: In 1997, Just Between Friends was created in a living room in Tulsa, Oklahoma when Shannon Wilburn, a mother of two young children, and her friend Daven Tackett hosted a sale with 17 friends as consignors and had gross sales of $2000. The sales caught on with families and grew so in 2003, they formed Just Between Friends Franchise Systems, Inc. Wilburn is now sole owner of Just Between Friends Franchise Systems, Inc., which has 150 franchises in 27 states and recently opened a franchise in Canada. Just Between Friends has been on the Inc. Magazine 5000 list of fastest growing companies four years in a row and was named one of Entrepreneur Magazine’s Top 500 Franchises. In 2012, Just Between Friends was one of only 25 companies to receive the U.S. Chamber of Commerce’s Blue Ribbon Award. Just Between Friends Franchise Systems Inc. also received a “Franchisee Satisfaction Award” and was named in the Top 50 franchises by “Franchise Business Review”. JBF has been featured on numerous national television shows including The Today Show, CBS Early Show, ABC News, Good Morning America, CNN, Headline News, Fox News, Inside Edition, CNBC’s The Big Idea, Entrepreneur Magazine and on www.yahoo.com, www.sheknows.com and Disney website www.family.com.